Box Text: Bizarre aliens roam the Earth! Can four average kids save the world from certain destruction? Intergalactic terror strikes the small town of Onett as a blazing extraterrestrial object crashes in the night! The Earth now faces imminent destruction by the universal evil threat, Giygas. A courageous boy named Ness and his three friends vow to save the planet from hideous destruction. Battle hundreds of off-the-wall monsters, roaming dinosaurs, and alien enemies. Explore exotic locations like Saturn Valley, Dusty Dunes Desert, and Deep Darkness. The ultimate test lies in the impending encounter with the all-powerful Giygas! 04-17-2015 krelyan Box Text Bizarre aliens roam the Earth! Can four average kids save the world from certain destruction? Intergalactic terror strikes the small town of Onett as a blazing extraterrestrial object crashes in the night! The Earth now faces imminent destruction by the universal evil threat, Giygas. A courageous boy named Ness and his three friends vow to save the planet from hideous destruction. Battle hundreds of off-the-wall monsters, roaming dinosaurs, and alien enemies. Explore exotic locations like Saturn Valley, Dusty Dunes Desert, and Deep Darkness. The ultimate test lies in the impending encounter with the all-powerful Giygas! 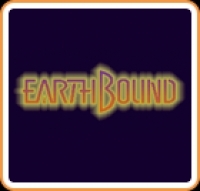 This is a list of VGCollect users who have EarthBound in their Collection. This is a list of VGCollect users who have EarthBound in their Sell List. This is a list of VGCollect users who have EarthBound in their Wish List.